Pan de Azucar is the biggest and most popular among Concepcion’s 16 islands because of the enchantingly tall and steep mountain, called Mt. Pan de Azucar or Mt. Manaphag, standing like a towering sentinel in the center of the island. Tampisaw is also the name of the festival of Concepcion held in the island on the fourth week of April to celebrate Earth Day. 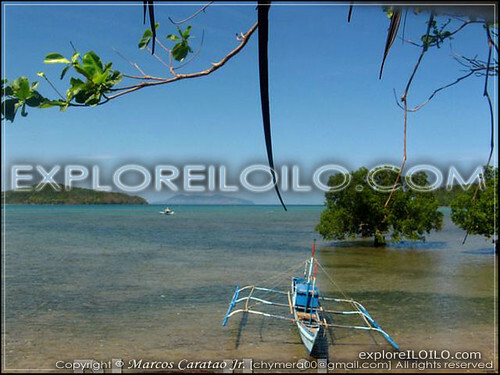 Pan de Azucar Island, also referred as “Tampisaw Island” or “Tambaliza,” is located 7 nautical miles north of the poblacion or town proper (in mainland Concepcion) with an expanse of 18.4 square kilometers, occupying 19% of the town’s total land area. 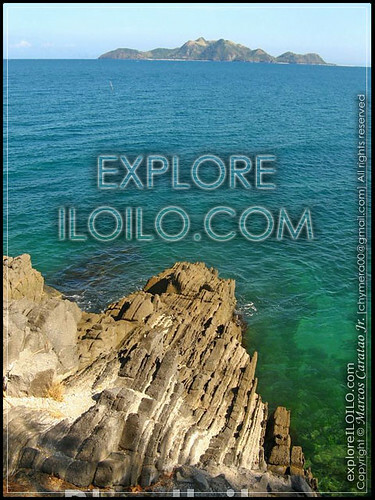 It is 30 minutes away from the poblacion via motorized bancas (pump boats), which have regular trips to the southern side of the island. Special tours will have to be arranged with the municipal tourism office or with boatmen docked at the fish port in the mainland. Mt. Manaphag is a 573-foot land mass considered as one of the steepest in the country. 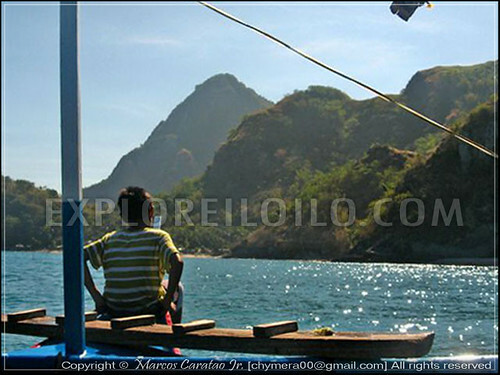 It is frequented by mountain climbing enthusiasts such as the Sigarong Backpackers. 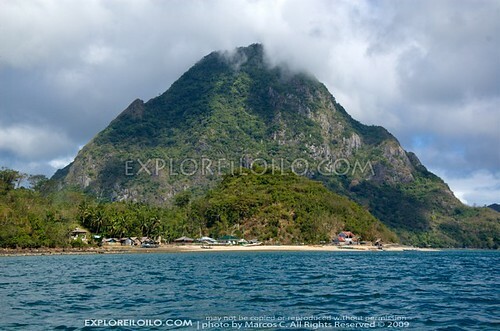 The mountain, which can be seen from afar (as far as Negros Island), easily distinguishes itself from its surroundings and provides Conception a magnificent and interesting landmark because of its shape and size. The island was named after “Pan de Azucar” in Rio de Janeiro, Brazil because of its similar appearance. At the foot of the mountain are flat lands suitable for farming, one can see a perfect overview of them on top of Mt. Manaphag. If you happen to know a local, try to have him to take you to a coconut plantation and ask for all the coconuts that you can eat. It’ll certainly give you a fulfilling experience. Pan de Azucar has thin coasts of golden-yellow sand to white sand. 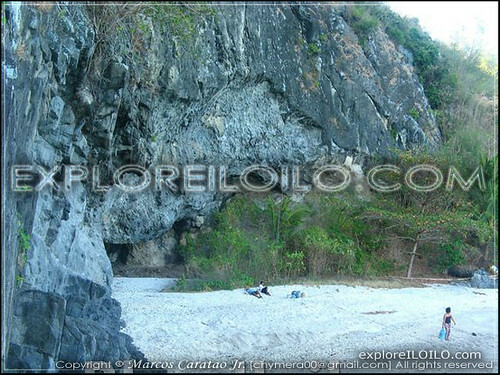 Most of them are inhabited and may not be suitable for swimming, though there are still a lot of sites around the island which are perfect for a dip like Malumpatan, which is a short beach with a pebbled shore and spectacular rock formations in its surroundings. Along a white sand beach at the foot of Mt. 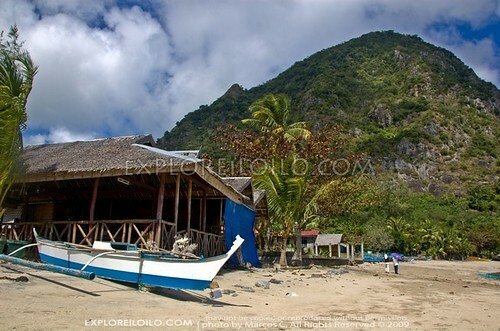 Manaphag, is Pan de Azucar Beach Resort, which offer rooms for those wishing to spend the night in the island. They offer simple accommodations and have water and electricity available. Located in Pan de Azucar island, Mt. Manaphag or more popularly called Mt. Pan de Azucar is the most commanding landmark in Concepcion. According to legend, a giant named Toya used to inhabit the summit of Manaphag. Toya takes a bath in a lagoon on the summit, using for a scoop the shell of a gigantic manlot or clam. It is also home to white-breasted hawks and a community of wild monkeys. Mt. 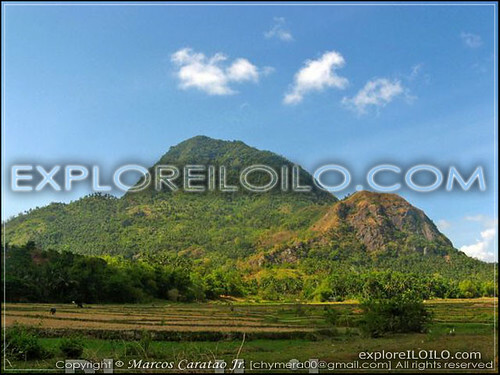 Manaphag is the tallest peak in the islands that dot the northeastern coast of Iloilo. It is characterized by spectacular crags and a very steep incline, the reason why some consider it as one of the steepest mountains in the Philippines. Thus, it poses quite a challenge for mountain climbers. Nice set-up of info about Mt. Pan de Azucar. to Mt. 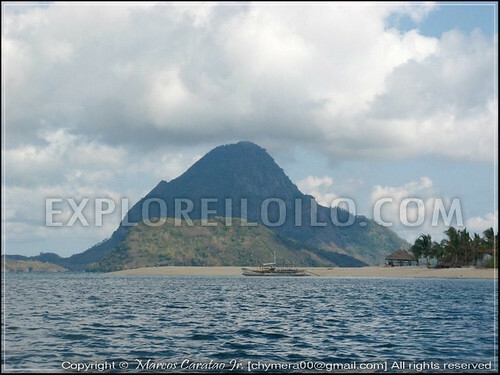 Pan de Azucar and its island also with regular boat-connections from Barangay Poblation of San Dionisio. Pan de Azucar Island is 30 minutes away from the poblacion via motorized bancas (pump boats), which have regular trips to the southern side of the island. Special tours will have to be arranged with the municipal tourism office or with boatmen themselves. ..tampisaw is great but it lacks activites that would give an impact in the festival itself..